Vintage frames and a fun mix of fonts make our Florentine save the date and wedding invitation suite unique but timeless. 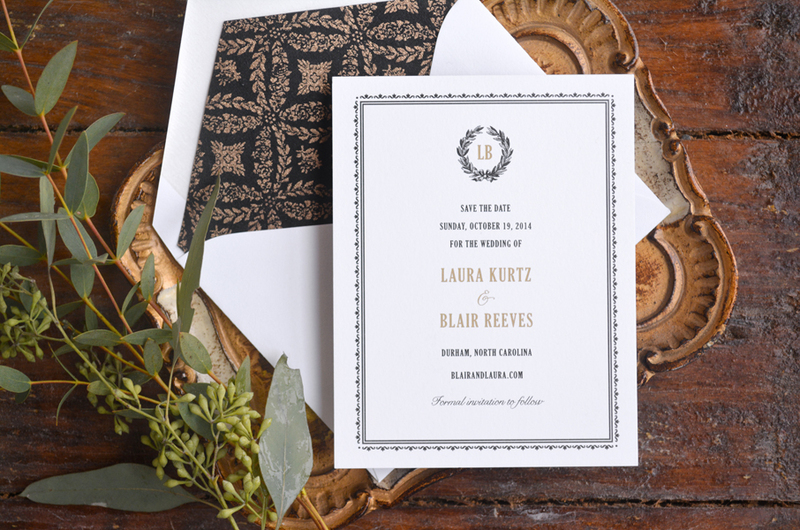 Ornate and sophisticated, Florentine sets the tone for an elegant event! Visit us on Pinterest for vintage, elegant wedding ideas inspired by Florentine! 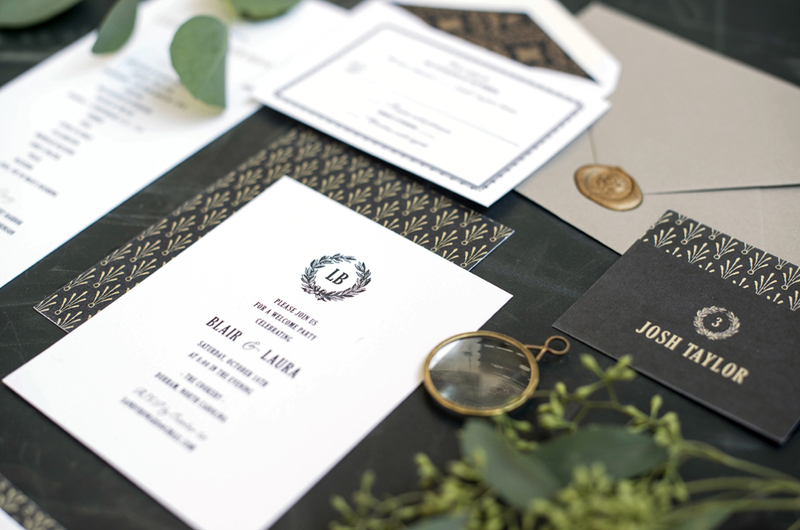 Make it Yours: The Florentine suite thrives in letterpress and foil. Consider a pale color palette to make the frame less bold, and alternate colors for the bold blacks shown here.